I'm Adam Twidell, CEO of PrivateFly and ex-RAF and private jet pilot. I've been flying for over 20 years and have also worked as an aviation consultant to private jet airports. So I have lots of insider knowledge to share with you about private jet travel. From which aircraft to choose to the best airports; from finding a flight to boarding your aircraft - and what to expect on board. My team and I would be happy to answer your questions about private aviation. You can see some frequently asked questions below, or you can call our team of private jet experts on +44 (0)20 7100 6960 (24 hours). 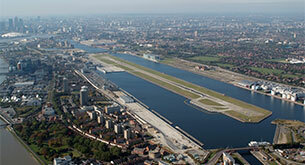 What's the best airport to use in London? A key reason for flying by private jet is to avoid busy airports.With so many airports to choose from around London which airport you should choose can depend on your destination or travel schedule. What height (altitude) do private jets fly at? 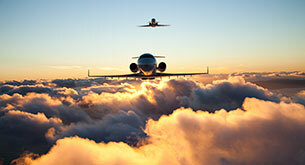 A private jet can fly at a height of up to 45 000 ft, though most cruise at 41 000 ft. This is generally higher than an airline flight and allows for a more direct route – out of the most congested area of the sky. Can I take my pet on a jet? 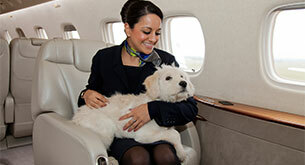 We're often asked about private flights for pets. And yes your pet will travel in the cabin with you.